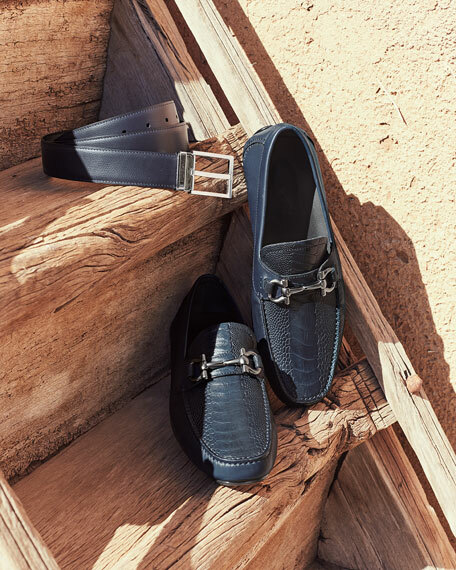 Salvatore Ferragamo belt in reversible calfskin leather. Shiny silvertone square buckle with engraved logo. Salvatore Ferragamo belt bag in Gancini jacquard with leather trim. Two-way zip-around top closure. Web adjustable belt strap. Textile lining. Salvatore Ferragamo belt bag in Gancini jacquard with leather trim. Two-way zip-around top closure. Web adjustable belt strap. Textile lining. Made in Italy. Salvatore Ferragamo leather belt. Oversized logo-engraved Gancini buckle with matte finish. Adjustable fit. Made in Italy. 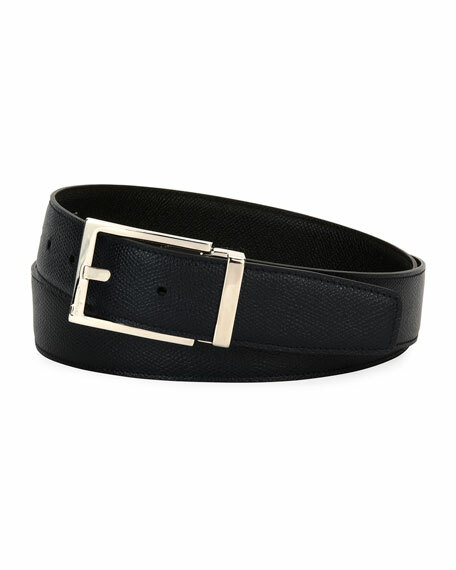 Salvatore Ferragamo belt in pancini calfskin leather. Brushed nickel Gancini buckle with logo-engraved center bar. Approx. 1.4"W (35mm). Adjustable fit. 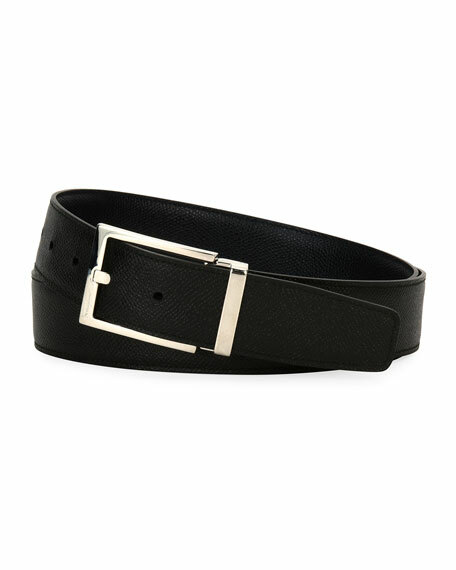 Salvatore Ferragamo belt in pancini calfskin leather. Brushed nickel Gancini buckle with logo-engraved center bar. Approx. 1.4"W (35mm). Adjustable fit. Made in Italy.